The purpose of the First Baptist Church is to inspire trust in God and develop disciples of Jesus Christ. The First Baptist Church is Baptist by conviction, ecumenical in spirit, and committed to Christian service. Believing that God offers forgiveness and hope to heal our lives and make us whole, we seek to create a worshiping community characterized by the study of scripture, prayer, forgiveness, peace, joy, and the full welcome of Jesus. 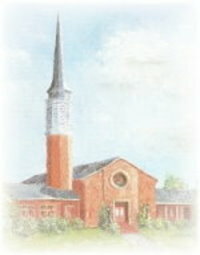 The vision of the First Baptist Church is to raise the quality of life in Jesus’ name for the congregation, the community, and the world through our ministries of worship, Christian formation, fellowship, mission, and emerging ministries that foster social justice, morality and equality for all people.